The Essence of Bali: smells, tastes, and sounds you can't capture in pictures. Travel photography is awesome. We follow some great photographers on Instagram and are even friends with some ourselves (check out Electric Photography and Be Real Travel). The one problem is, they don't seem to capture the full magic of a place -- its smells, tastes, sounds, and general feeling. But that's what travel is all about, right? Everyone wants to capture their entire experience, and share it with people. 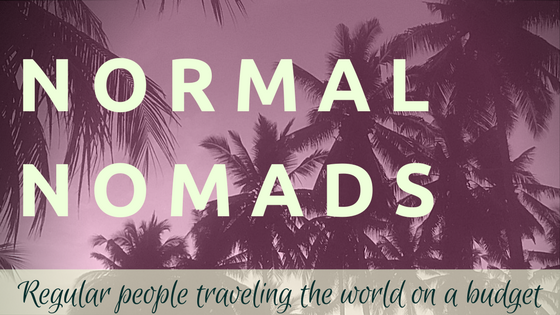 Normal Nomads included. 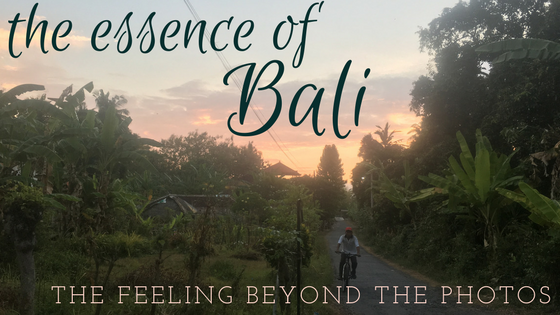 We went to Bali in September, visited some of the best places to stay in Bali, and want to take a stab at answering, "what's Bali like?" Right now it's the irregular click-clickety-clack-click, of a ceiling fan, which should sound familiar to anyone who's traveled to warmer climes. The soft far-off buzz of scooter traffic is ever present. Thus are the joys of city life in Canggu. In Lovina, North Bali, my answer is very different. It is at the base of a large mountain, so every once in a while a strange high-pitch alien howl abruptly echoes through the jungle: a large truck engine brakes down the hill. Quite often, a rooster crows (or makes a feable attempt) to which a dozen more roosters respond. The chickens cluck back sarcastically, like ladies at brunch, unimpressed by the macho showdown. The serene chirping birds fade nicely into the wind rushing through palm, mango, and banana trees. Far off, some children are practicing their dancing and learning to play traditional Balinese gamelan music, in stark contrast to the modern pop music coming from our neighbor's yard. Depending on where you are (most of Bali is Hindu but there are Muslim neighborhoods), the monotone broadcast of the call to prayer echoes throughout the day. The serenity is interrupted by local dogs and their piercing staccato barking. It is sometimes appropriate, scaring off thieves and alerting you to visitors. 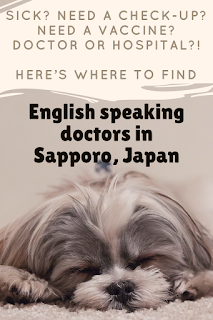 However, they also like to howl and scream in each other's faces at 2:00am to prove that they still know how to wake up he entire neighborhood. Are your eyes still closed? Open them up and take a walk around. Good thing you're paying attention, otherwise the honking scooters may have startled you. Don't worry, they are just alerting other motorists and pedestrians of their location so that no one gets hurt. That didn't take long. The first person you see says hello and smiles. In most of Bali, get used to this. It's lovely and genuine. This is the refrain in Lovina, but you can replace it with whatever goods and services are popular locally. You like snorkeling? Diving? Trekking? Yoga? Coconut? Sarong? What was that ridiculous sound? It sounded sort of like an animal, but was very sudden. I think it's... human? Maybe a person was just unknowingly subjected to the Ice Bucket Challenge and in turn called out in terror and unbridled rage? It's a Balinese person sneezing. Who knew people could sneeze so differently around the world? Ah, the ever-present incense! Small burning offerings, incense sticks of a lovely floral spiced mixture, consistent throughout entire villages so that the scents don't mingle and turn acrid. 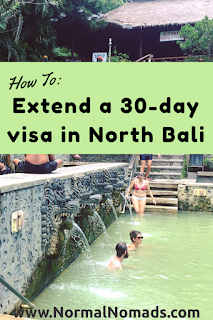 This is incredibly prevalent in Ubud and has the capacity to completely change your mood upon walking out the door. And *cough*-- that other smell? Breathing in deeply to appreciate the scent, a foul burning plastic odor sometimes takes over and makes your nose tingle. Burning trash -- a gross but unavoidable event in much of the world. In cities, this is the worst, composed of mostly plastic. With smaller populations, the trash tends to be mostly organic, so the trash smell is more like burning coconut husks, sticks, leaves, and just a bit of plastic. Mingled with trash is a layer of car and scooter exhaust, increasingly pungent with higher population and humidity. Not exactly a Bali honeymoon. Oh, that's much nicer! What is that? Food smells are pleasant once identified: fresh or cooking fish, fermenting peppers, Balinese spices being ground and mixed for satay lilit and pepes, burning coconut husks, and the corn and satay being grilled above them. In my life, there's usually a fresh Balinese coffee nearby, too. Depending on where you are, the salty sea breeze will make a delightful appearance. Ocean scents are the same all around the world, so it tends to feel like home. Before we go -- how do you feel? Mostly sticky. It's hot and almost always humid. The breeze is nice, when it's there. Cooler nights prevail in the higher elevations, but they're just that: cooler. What's the weather like in Bali? A cold night in Bali is equivalent to a nice summer day in England. Even on the cool nights, within minutes of leaving the house you're pretty dusty. There's dust on your clothes, your feet, in your shoes, under your fingernails... it's a dusty place with lots of dirt roads. Oftentimes the sidewalks themselves are wet, due to people "watering the road" as we call it, spraying their front entry down with a hose. Keeps away dust? Scares off demons? We never figured out why people do this. The sun is warm, but nothing like the scorching furnace of Australia, where five minute outside can burn you. Still, a hat sure feels nice. The best feeling, for me, is floating in the extra-salty, warm, calm ocean in North Bali, the water just a few degrees below body temperature. After the precarious walk over rocks and dead coral, the dark sand below your feet is soft and smooth due to its high clay content. Floating in the gentle waist-deep water, your toenails look filthy with the dark clay stain. But it's sunny, and the water is clear and refreshing, and it feels like meditation.